Yes, it's the middle of December and we still have a garden. 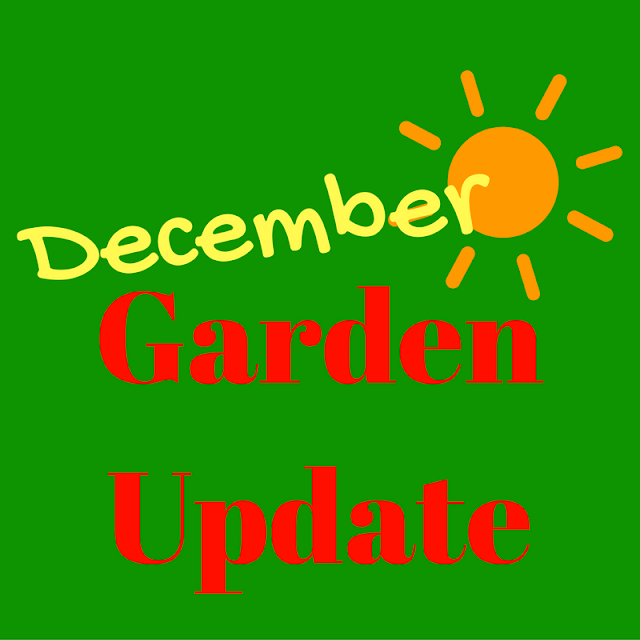 We are fortunate to live in Florida where the temperatures allow a garden nearly all year long. 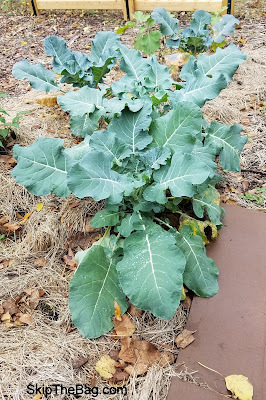 We did have a couple of nights that dipped into the 30s, but no freezes so our plants appear to have survived. Now, as I've mentioned before, the garden area doesn't get that much sun this time of year, so things are really slow to grow. We also had a bit of an issue with squirrels eating our Brussels sprouts. So we haven't had much of a harvest from the garden. 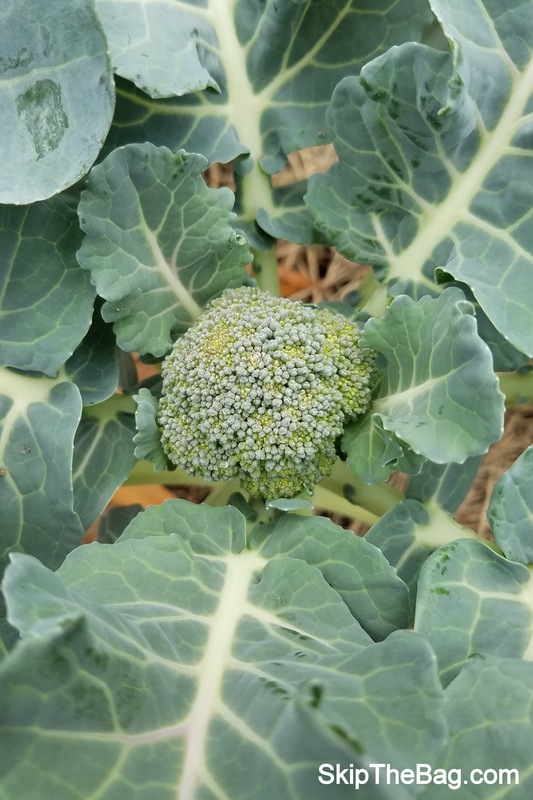 However our broccoli is full and leafy, you can even see the start of a head here. 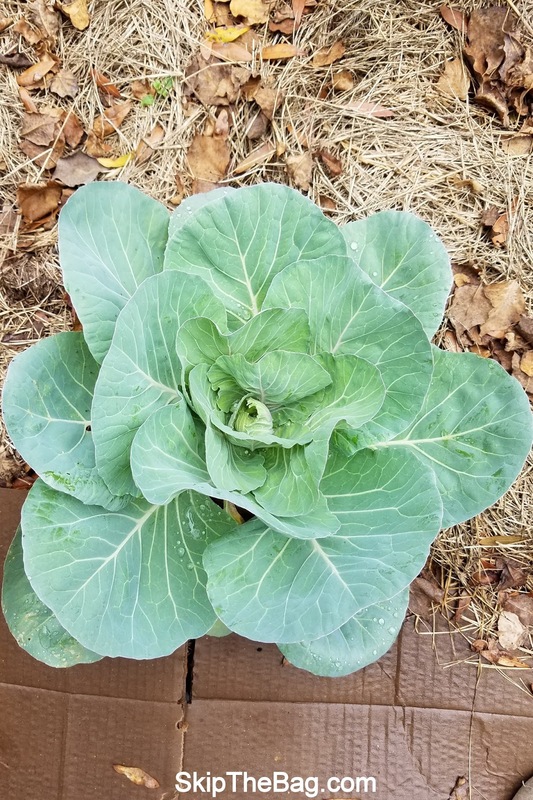 Our cabbage also has had full broad leaves for a while, but is now only starting to think about growing the actual plant. 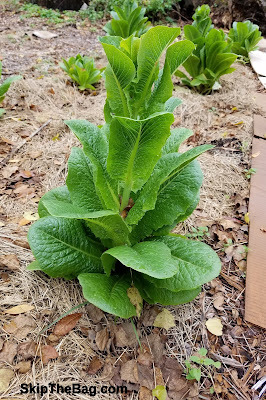 Lettuce didn't grow much and then sort of bolted. However we've still been able to get some leaves. In fact, I used some of it in a sandwich yesterday! I'm so happy that we are finally on our way to growing a 'salad'! 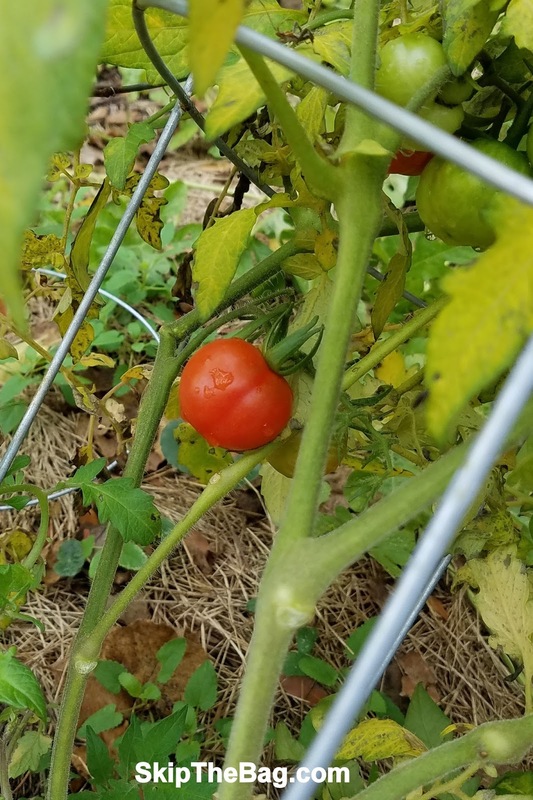 Most of our tomatoes are still present and green, but as you can see here we've got one that has ripened on the vine! We were prepared to pull all the green tomatoes if we had freezing weather, but since that isn't a fear we are going to let them go a little longer. 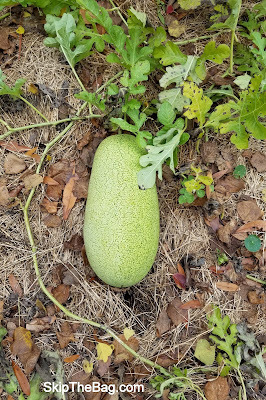 Our watermelon has pretty much stopped growing and the leaves are starting to die back. So I think it's time to harvest this one and see what we've ended up with. This whole year is a practice garden and I think this winter garden has illustrated it best. So I'm not holding out a lot of hope that this will be the best watermelon ever, but it might provide a yummy snack! I'm curious where we are going to go from here. I can't imagine January/February are going to be much better producers. Things are just taking so long to grow since there is less direct sunlight. However I'm excited for spring to get here and our garden to start taking off again! Yes, we are fortunate to be able to garden nearly year-round. Summer is actually our slow season, as the only things we grow are sweet potatoes, okra and pigeon peas. We are about to harvest some of our sugar snap peas and our lettuce, broccoli, eggplant and carrots are coming along. 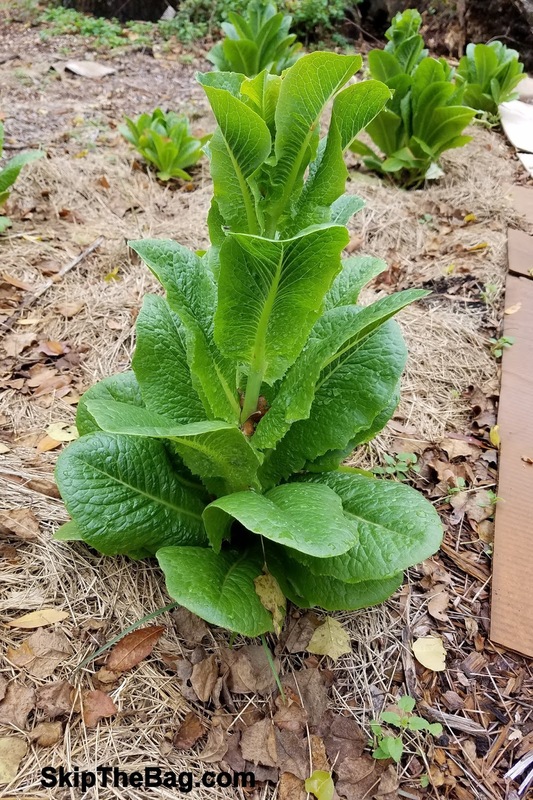 The new owners of our home will have veggies this winter! We grew okra for the first time this year and it was fantastic! 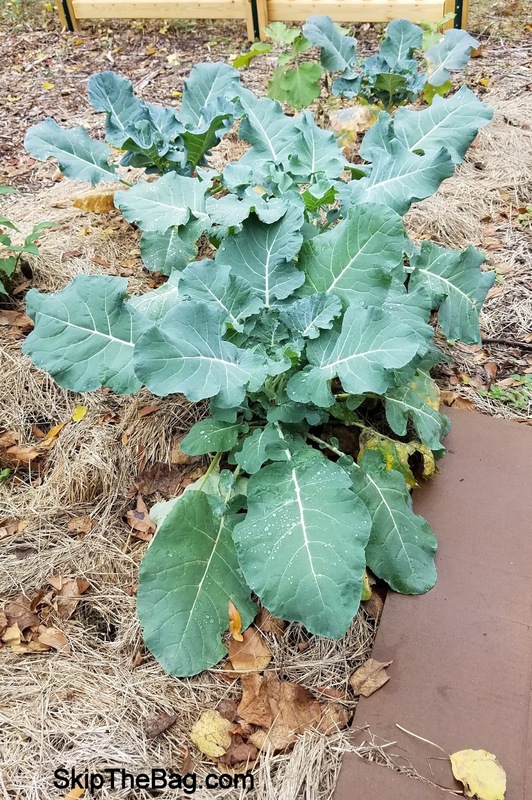 I can't wait to plant more next year. We didn't have any success with our carrots, but I'm pretty sure it was a combination of old seeds and my inexperience! Where are you moving to?